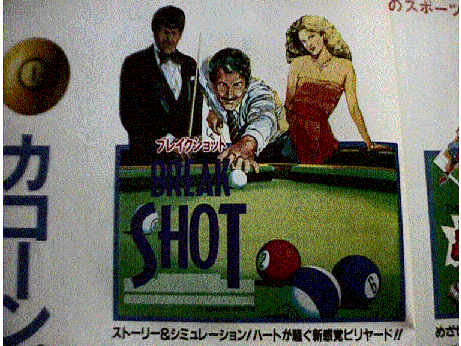 Break Shot is a billiards game. Konami had planned it but for some reason, they did not release it in the end. Maybe it was because of the decline in populiarity of Billiards in Japan. 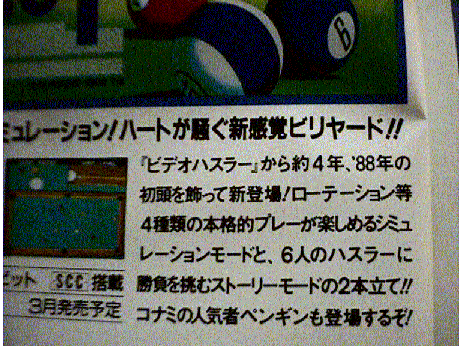 Break Shot is listed in the manual of the Game Master 2 as RC 756. 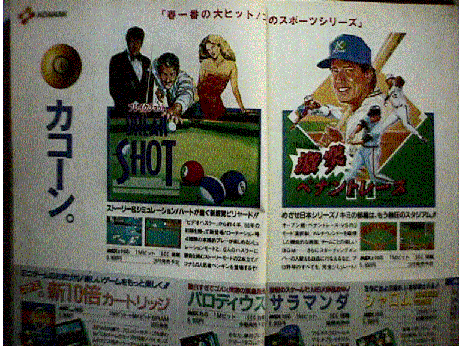 Konami also put advertisments in the Japanese MSX Magazine, issue March 1988. 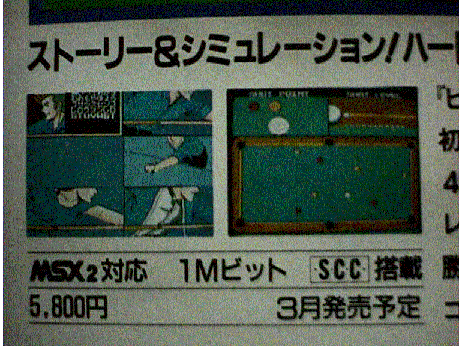 As you can see here, the game was going to be for the MSX2, with SCC music and an 1 megabit ROM cartridge. Strange enough, but the picture of the people playing here is the same as the picture on the Computer Billiards (RC 706) box.